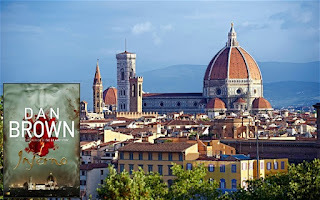 Brown's new novel, entitled ‘Inferno’, is based on Dante's epic poem of heaven, hell and purgatory and is set amid the piazzas and palazzi of Florence, where the poet was born in the 13th century. It promises to do for Dante and Florence what ‘Angels and Demons’, one of Browns earlier thrillers, did for the Vatican. Scholars at the Italian Dante Society said they welcomed the new book, no matter how populist or filled with historical inaccuracies, because it would bring the poet's work to a much wider audience. A sneak preview of the prologue and first chapter of Inferno suggests that much of it is based in Florence. The fast-paced prologue begins with a character called "the Shade" racing through the streets of the Tuscan city while being pursued by nameless enemies: "Along the banks of the River Arno I scramble, breathless... turning left onto Via dei Castellani, making my way northward, huddling in the shadows of the Uffizi. And still they pursue me. I pass behind the palazzo with its crenellated tower and one-handed clock...snaking through the early-morning vendors in Piazza San Firenze. 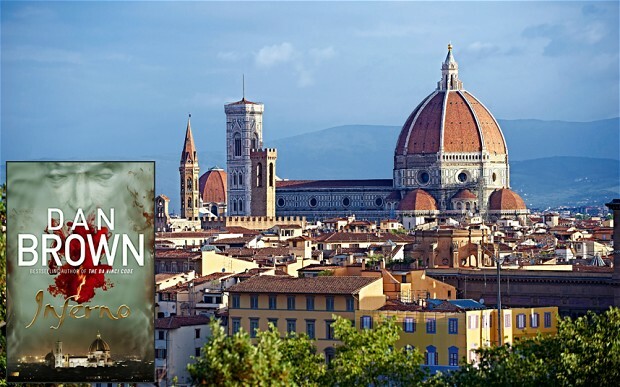 Crossing before the Bargello, I cut west toward the spire of the Badia..."
The first chapter opens with Brown's hero Robert Langdon, a Harvard professor of religious symbols, waking up in a hospital with a head wound and stitches to his scalp. Initially he assumes he is in his hometown of Boston, only to be told he is in Florence. An easy mistake to make…..In the shadows outside lurks a female assassin who moves with ‘the intensity of a panther stalking its prey’ she intends to hunt down Robert Langdon and kill him; which is what assassins do. The prologue and first chapter also suggest that Brown may delve into one of Florence's most enduring art mysteries – the theory that a long-lost masterpiece by Leonardo da Vinci is concealed behind a painting which adorns Florence's centuries-old town hall. In the novel, Robert Langdon has a dream in which a woman tells him "Seek and ye shall find". The same phrase appears in Italian in an immense battle scene painted by the Renaissance artist Giorgio Vasari. Scholars have speculated that this is a clue to the fact that Vasari's painting could conceal an earlier work by Leonardo, The Battle of Anghiari, completed 60 years before but then covered up. "Seek and ye shall find" could also be a Biblical reference, however – the phrase appears in the Sermon of the Mount in the Gospel of St Matthew. The words are clearly a key part of the plot, but exactly what they mean will only be revealed with the publication of the book.